While this may be the 12th Call of Duty game in the series depending on what you define as a sequel, this review will be written from a somewhat fresh perspective as this is my first time playing through a Call of Duty title and is also the first game I will be experiencing through the PlayStation 4. 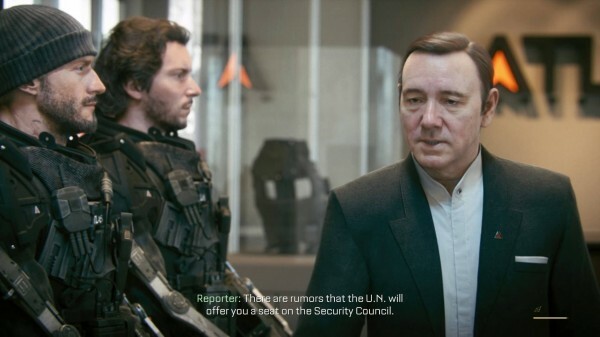 I thought it was about time I jumped on the hype train to see why this series had quickly become one of the most successful gaming franchises in recent memory but was also interested in this games campaign which features movie veteran Kevin Spacey, who is no stranger to voice overs. If you’re interested in a newbies take on the gameplay of CoD Advanced Warfare then please read on. A quick warning before we begin this section will contain some slight story and gameplay spoilers so those who wish not to be spoiled please move on. 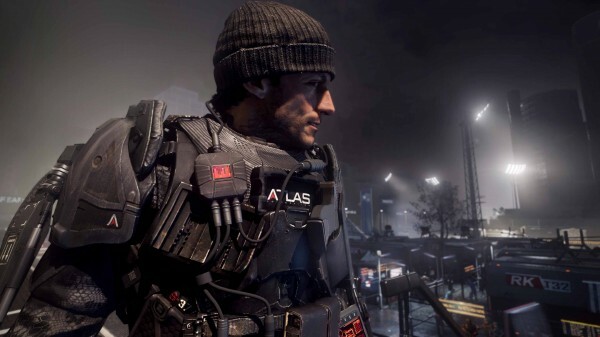 Call of Duty: Advanced Warfare focuses on a powerful company called Atlas who are pretty much an expensive super army mercenary group who give their power to the highest bidder. At the helm of this organization is Jonathon Irons, brilliantly played by Kevin Spacey as a cold, ruthless and driven dictator with an emphasis on the first part of that word. The first of this fifteen chapter long story ends pretty weakly with the death of William Irons who is supposedly your best friend. Not only is it hard to get attached to a character who you’ve only known for 10 minutes (not saying it can’t be done but that is not the case here), the ‘strong’ relationship between Mitchell and Will doesn’t come off as believable and is mostly the fault of the dialogue. This event paves the way for the story to kick right into gear as the funeral of Will is where the playable character of Jack Mitchell first meets Jonathon Irons, who is more than dissapointed in the American Government for failing his only son. He offers to give you a second chance working for him and even throws in a new bionic arm to sweeten the deal and help replace the arm that was taken from you in an earlier explosion. 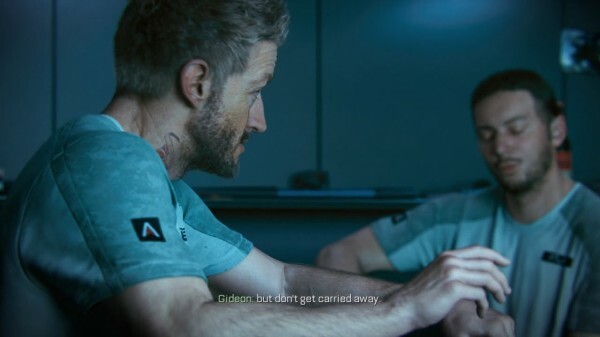 Apart from Irons and to a lesser degree Gideon, who is a classic tough army stereotype guy but with a good heart, not many other characters get much development and really couldn’t be described beyond skilled American solder who plays by the rules and cares for their squad. The real focus of the story here is the Atlas corporation and it does take away from character development. It’s not a big deal and gives more time for Spacey to shine, but I felt I should care more about the squad that pretty much fights beside me for the entire game. The story contains a good deal of plot twist throughout that will most likely deliver a few shocking moments even if once it’s all over you’ll probably think I’ve seen this kind of story before. The parallels the game makes between it’s fictional universe and the real life situation we face today with themes of globalisation, privitisation and ethics which often bring up some thought provoking moments, but thanks to the fast pace of the campaign it won’t be long before you take off your thinking cap and are back to shooting some more enemies. It’s not a story people will talk about or even remember for long, but it’s a fun ride and will keep you motivated enough to want to see what will happen next. 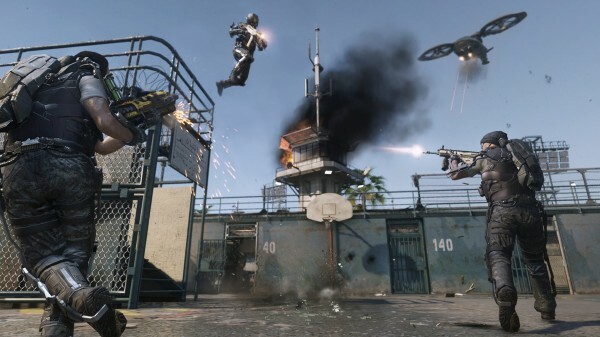 The campaign of Advanced Warfare plays out very much like an action movie and it’s nearly impossible to get bored as you’re never doing the same thing for long. Whether it be climbing a wall like Spiderman due to futuristic gloves, using a grapple attachment to attach yourselves to ledges like Batman or using a jet pack like suit to fly like Ironman, nearly every chapter contains a unique element in it to help break up the on foot areas which have their own fair share of variety in their own right. All of these gameplay types are fun to play and none stood out to me as the one I hoped would not come up again. Variety is the keyword here and the game keeps it fresh while keeping you on your toes as to what kind of mission to expect next. There are plenty of different guns that I came across in the story, from grenade launchers, to assault rifles to more powerful missile launchers you obtain at times. A special mention goes out to one of two futuristic like weapons I came across in my campaign run through, and that is the heat gun which shoots a red hot continuous laser that you have to keep on the opponent for about a second before they fall. It might not be the most efficient gun but it was definitely one of the most fun to use and I held onto it whenever I could in the campaign. Rarely does it feel like you pick up the same gun twice, as they normally have different attachments and properties that make even the same gun different from another. You also have three types of tactical grenades and three types of lethal grenades at your disposal which all have their specific uses. 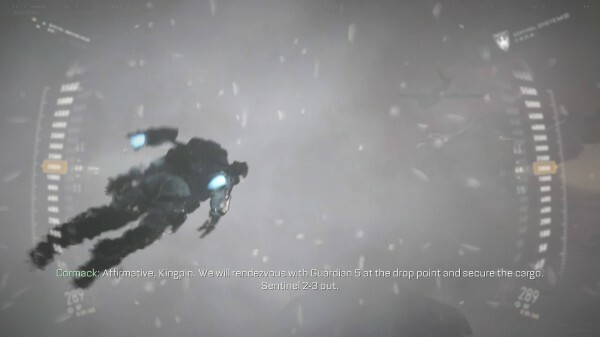 Your Exo Suit factors largely into your combat and movement capabilities allowing you to perform pretty high boost jumps, quickly boost left and right, sprint quickly, raise a shield and activate overdrive, a bullet time mechanic that slows the game down to a crawl while keeping your movement at regular pace. I’m a big believer that options in gameplay are what makes a great game and Advanced Warfare definitely has a myriad of options that allow you to play your way whether you prefer a stealthier approach or want to go in all guns blazing. 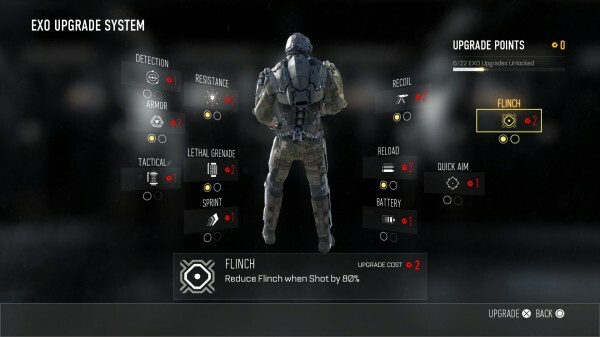 There is a very well done leveling up system for the exo suit that rewards you with standard stuff like increased sprint duration and shortened reload time among others. The system encourages you to be either really good at head shots or grenade kills or practice all of them evenly so you can hit the lower level up targets. One of the few issues I had with the game was differentiating between allies and enemies amongst the hecticness of the battles. At times uniforms look very similar and while a blue outline shows up if you to target an ally, I would have liked that to be present at all times so I wasn’t wasting ammo on my squad. Another issue I had with enemies was how unaware they were at times. I was able to perform a number of stealth attacks from behind enemies even though I was walking over water and broken glass and literally couldn’t be any louder which didn’t make sense in the game world especially when I was supposed to be being hunted. The PlayStation 4 control holds up well here, even if I wasn’t a fan of sprint being tied to the L3 button. There are a number of settings for players to modify to their liking such as sensitivity and inverting the control axis. Using the twin sticks to shoot and move the camera gives you a perfect amount of control over your aiming reticule and movement. If you die in this game it is your own fault (unless you’re still learning the controls of course). The campaign can be summed up as a fast paced action movie that is fun and varied for the six hours or so it takes to complete it. Apart from the campaign there are two other main modes in multiplayer (which supports Local, LAN and Online) and EXO Survival which is a wave based survival co-op mode. The scope of multiplayer is huge in this game with over 10 game modes plus bonus playlist and an overwhelming array of customizable options both in how your character appears, your player card and most importantly your load out which contains your primary and secondary weapon, attachments for those weapons, exo suit perks, score streak bonuses and more. There would easily be over a million different combinations here and it’s very impressive even if I didn’t have a clue what half of it meant. All those things I mentioned above also have unlocks for leveling up and completing certain objectives so the re playability present here is near infinite. It is obvious this game isn’t intended for newcomers both in the games design and skill level of players. In a few games I even got stuck in spectator mode and couldn’t figure out how to actually get into the game (I think it might have been because I hadn’t selected a load out yet). When I did figure out how to get into games I died. A lot. I kid you not I once died within a second of appearing on the map. Needless to say when I did pick up that rare kill it was a satisfying experience and nearly every kill is accompanied by some medal like buzzkill or kingslayer. The only way to learn the game and get good is to spend more time with it, learning the advantages and disadvantages of all the guns, perks, maps and game modes until you find what works for you. It will turn a lot of newcomers away but for those the stay the course it will no doubt be a rewarding experience. The survival based co-op was something more my style as fellow players were helping me instead of gunning me down. 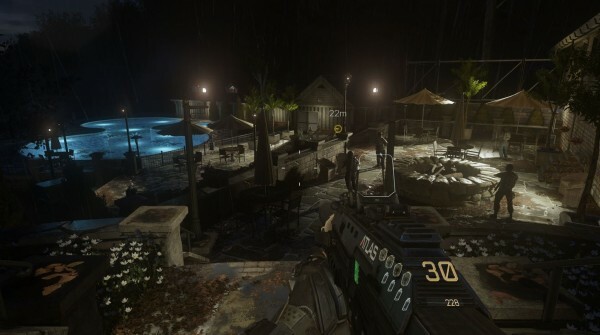 In this mode waves of enemies swarm you and your four person squad and you have to fend them off. You get some breathing room between rounds to upgrade your suit or weapons and care packages will drop when you satisfy certain condition that contain goodies such as ATS mech suits, aerial drones or an upgradeable perk such as unlimited sprinting. The waves get stronger and it’s game over when all your team mates die. If you die in a round but your teammates finish it you are revived automatically. Adding more variety to the waves are secondary objectives that break up the pace a bit, such as collecting intel from down enemies or disarming bombs that are scattered around the map. Not completing these will result in a penalty such as only being able to use pistons for the next round. Like in the multiplayer there are heaps of upgrades to be earned here to your exo suit and weapons but they are all tied to a single game rather than being permanent. These upgrades keep you pushing to do better along with the overall goal of surviving longest and teams that play together, revive often but also have sharpshooting skills will be rewarded here. It’s a fun distraction from the main campaign and will probably be your go to mode if you find the multiplayer component too overwhelming. Learning the game, fast reflexes and being aware of your surroundings are the key to winning here and if you think you can handle all that, then you’re in for a good time. As I mentioned in the beginning of this review this was my first time experiencing a retail title on the PS4 and I am not a PC gamer, needless to say I was blown away by these graphics. First off I have to mention the absolutely incredible CGI in this game that is present during cutscenes. I needn’t say much more than I often found myself pondering if these scenes were actually filmed with real life actors, that’s how amazing they looked. The facial rendering and animations were particularly impressive and when certain camera angles and blurs are used it truly borders on real life. 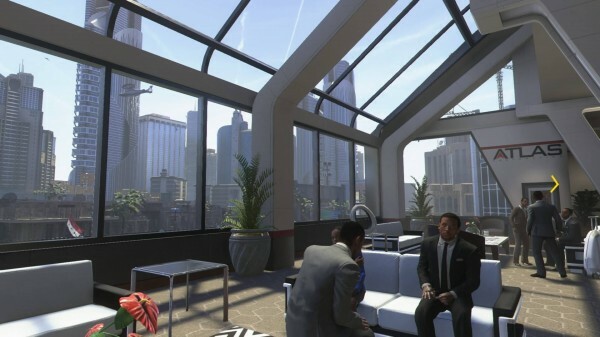 Take a look at Mitchell in the background of the screenshot below for an example. Not far off from the heights of the CGI were the in game graphics which were again fantastic. The models, the textures and the realistic lighting created a fantastic looking and believable futuristic world. From listening to many non FPS fans complain that all shooters only have shades of brown and grey for a colour palette, I’m guessing those guys haven’t played Advance Warfare. 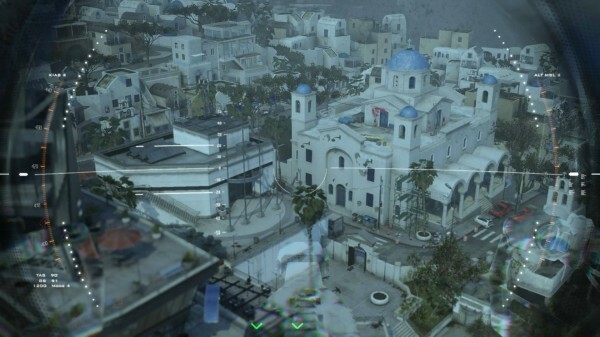 Nearly every chapter in the game takes place in an entirely different country so the environments are very varied, with some like Greece and San Francisco looking as bright and colourful as there real life counterparts. Also worth mentioning is the life present in this games world. 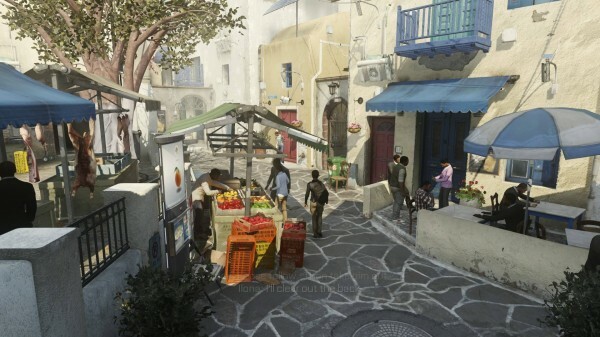 Sure you are very confined in terms of exploration thanks to the linear path that you can’t stray far from, but this has allowed Sledgehammer Games to fill these smaller areas with heaps of small details. A perfect example is when you first visit the Atlus facility and as you’re walking to your next objective you see soldiers training in many different areas from climbing a test wall to pushing a shipping container to testing the boost jump functions in their Exo Suits. It again adds to the believability of the world and it’s just great to see the developers putting so much love and attention into the games finer details. The only graphical glitch I came across in the game was when my squad walked right though a cargo crate which kind of broke disbelief a little but was nothing major. The game ran at a very smooth 60fps even at 1080p and I can’t remember an instance when it dropped, with the only performance hiccup I experienced was the game freezing for about two seconds each time I had to re-spawn in the second last chapter of the campaign. All the HUD’s and menus were clean and well designed, with all sorts of holographic Heads Up Display’s for your weapons which both looked cool and functional. 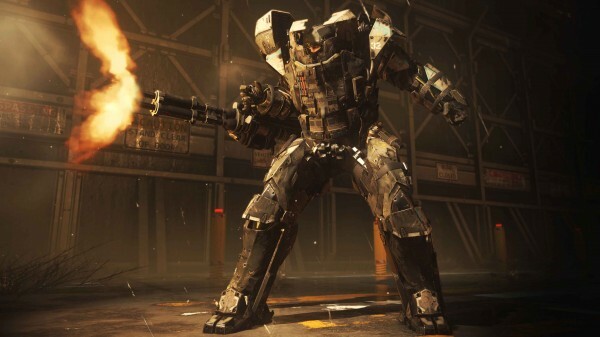 Call of Duty: Advanced Warfare sounds just as I imagined a battleground to sound like in 2055, loud with Ironman like energy charge shot noises firing off all over the place. Set up your surround sound and get ready for an audio treat. Normal guns are blazing, big guns and turrets sound even more powerful sounds and environmental sounds like aircraft whizzing by and explosions are equally impressive. One audio moment that really stood out to me was the nuclear plant explosion which sounded phenomenal with the initial blast and consequential wind and rubble flying at you. There isn’t much in terms of music but what is there fits the game well and serves as a compliment to the action happening on screen at any given moment. All the voice acting here is well done apart from the female character Ilona who I think was meant to be Russian but gave off more of a Latino vibe. A small audio detail I appreciated was the squad yelling out instructions like ‘Tango at 2 o’clock’ (I don’t get why Tango means enemy) which both helped me locate the enemy and added a further life like quality to these characters. 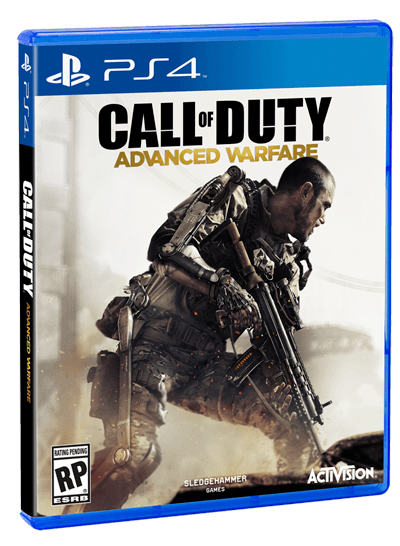 While Call of Duty: Advanced Warfare won’t make me start playing more FPS titles I definitely had a good time smashing through it’s campaign and trying out the co-op and multiplayer. Kevin Spacey stars as the dictator like Jonathon Irons in a fast paced, action romp that may start a little slow but quickly picks up. The core gun play and huge mission variety will always keep you on your toes and ensure you don’t get bored, with new additions like the exo suit bringing even more combat and movement options to the table. Tight controls, some of the best graphics and CGI ever produced and engrossing audio make for a well polished title that FPS fans are sure to love and even newbs can enjoy, even if the game does cater much more to veterans of the series than it does newcomers.